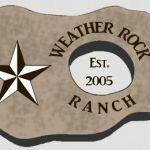 Weather Rock is a privately owned, 1200 acre, “high-fenced” ranch, located in the scenic hills of west Texas, 35 miles north of San Angelo, near the small town of Robert Lee. 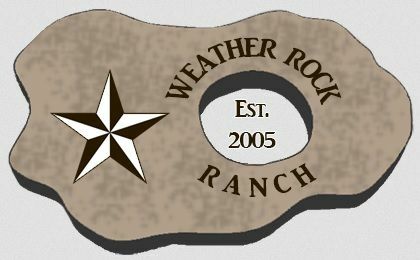 Weather Rock Ranch consistently produces trophy whitetails and large Rio Grande turkeys and is on an aggressive management program. 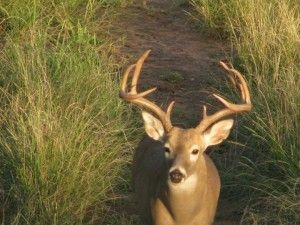 The ranch has been awarded a Level 3 Managed Land Deer permit through the Texas Parks and Wildlife Department and has been participating in this program for the past seven years. Our program consists of a 16% to 20% protein pellet, fed year round, with corn, alfalfa hay and fresh water. Water is plentiful throughout the ranch produced by windmills, solar pumps and stock tanks. The ranch terrain consists of mesquite flats with rocky/cedar elevations. There is an abundance of natural cover. 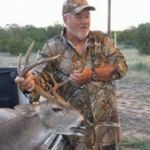 Even though the ranch is “high fenced” the hunts are extremely challenging. 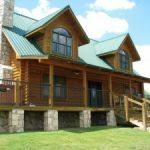 All game has total access to the entire property. Our young bucks are allowed to mature while adult bucks that do not meet a strict criteria are harvested as necessary, along with does. 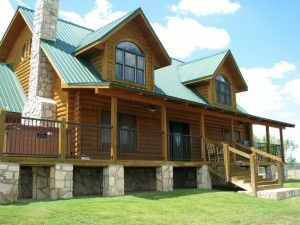 We are actively engaged in all aspects of the hunting and wildlife operations of the ranch from setting up wildlife resource management programs to promoting and outfitting our hunts. 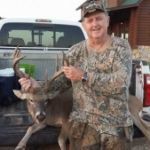 We only offer 2 trophy whitetail hunts and 6 mature management bucks each year. Along with native deer, we have also brought in trophy genetics. 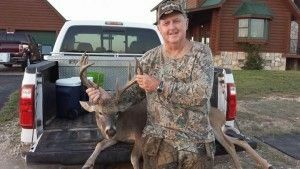 The deer hunts allow for the harvest of one trophy buck or one mature management buck plus does. The doe harvest is regulated by our biologist recommendations. 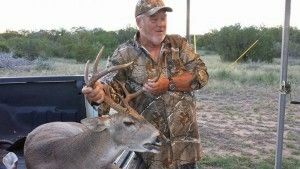 Hunts are conducted out of elevated Atascosa deer blinds, with ONE on ONE guide service. 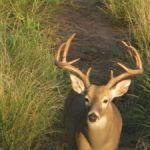 We also offer horn rattling and spot and stalk hunting. 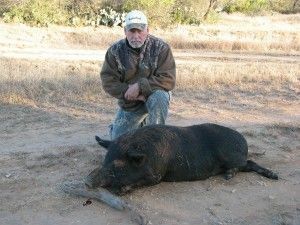 Bobcats, coyotes and feral hogs are included in the hunt, at no extra charge. 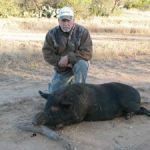 During the spring, the ranch offers 3 Rio Grande turkey hunts. Two mature gobblers are permitted each hunter, along with the harvesting of varmints.